Here is the perfect example of an album that it is necessary to listen carefully before throwing it to stinging nettles. Not that “Berlin Ratusz” is difficult to access. Quite the opposite. Faithful to his style, Jaroslaw Degórski proposes a wide musical range with a vision of a more balanced electronica which bubbles in a delicate hint of Berlin School with these floating synth layers which interlace in delicate orchestral arrangements and huge trolls' rustles. And when the whole thing is tinted by dreamlike aromas of the world of Aladdin, it can only give a result that surpasses the expected. We loved Last Train to Berlin? We shall like this album which doubtless has draw the main lines. And that starts on hubcaps. A mixture of breaths and hummings, which remind the uncomfortable tones of gigantic Trolls on a foot of war, sweep the introduction of "Minaret". The chirpings of a line of sequences with organic ions are deeply oscillating. One would say a strange ride in unreal territories. Especially with these Gregorian voices layers and these vampiric waves which crisscross and wrap a rhythm which takes more and more tonus with the addition of big nasal riffs and electronic percussions which couple their strikings to a troop of flickering sequences. The rhythm is heavy and incisive. Very just like what we shall hear on “Berlin Ratusz”, its jerks are taken by a delicious mixture of sibylline vibes where hoarse voices hum some black airs. The riffs breaks out in a continuous mode and bite the feverish beatings of the electronic percussions, while the sequences continue to oscillate violently. Set apart for the starved riffs, the e-guitar also throws nice solos. Moving thus a little the violence of the movement which refutes the brief caresses of some more seraphic voices and the peace of mind of a brief more moderate passage. It's with a hard and pure e-rock, dipped into Mephistophelian ambiences and encircled with an electronic veil to the thousand hearing pleasures, that Jaroslaw Degorski invites the spectators to an electronic Mass, rich in sound colors, for this concert performed at Rathaus Schöneberg within the framework of the 40th anniversary of the Berlin School movement. But in spite of the event, “Berlin Ratusz” has little to see with the Berlin School genre. Except for these ambiospherical synth layers which enclose a host of rhythms very near to electronica, the music of “Berlin Ratusz” glitters in a kind of crenel of a World Music prepared in a technoïd sauce. Bang-bang it hits hard, flap-flap it caresses! If "Minaret" is throning in absolute master on this collection of tracks, "Ultrabas" is not too far behind. The rhythm is curt, nervous and is stoned to death by good resonant riffs, ploughed by bass sequences and hammered by percussions which deeply swirl in another violent up-tempo. Here, as almost everywhere on “Berlin Ratusz”, the music is strongly soaked by an approach of the Middle East and the voice of Lukasz Kolakowski is very feminine. The rhythm, always knotted of nervous jerks, of "Black Water" is a good mid-tempo with an approach a bit bicephalous; with an electronica sneaking in spaces a little softer. The synth pads, rather ambiospherical, remind that we celebrate on the 40 years of the Berlin School. Except that I find that it is closer to World Music, to Arabic techno. Suffice to hear the tribal hymn which is "Carima" to be convinced. Otherwise, the beautiful and very ethereal ballads which are "Dream" and "Ocean" will erase all the doubts. If at the beginning the voice of Lukasz Kolakowski annoys, because she's rather omnipresent, we eventually get bewitched because shes sounds very oniric and the music of Yarek abounds in a wealth such as what we found on Last Train to Berlin. "Imagination" is a kind of drum'n'bass a bit groovy which is filled of resounding hoops and by curt, abrupt movements. 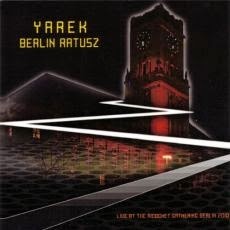 The approach is always rather melodious, Yarek having emptied his gall on "Minaret" and "Ultrabas". "Moon Walk" offers a nice structure of bouncing rhythm with a superb synth which spreads an attractive Arabic veil. That reminds me moreover Jean Michel Jarre and his collection of ethnic rhythms in Zoolook. A perception which is rather present all over “Berlin Ratusz” by the way. "Nostalgia" is a good FM piece of music and a beautiful down-tempo, very Jarre, with a slow rhythm shimmering of slamming percussions which is painted of beautiful synth veils as floating as orchestral and above all very melodious. Just to remind us that “Berlin Ratusz” is a festive event which surrounds the celebration of the 40th anniversary of the Berlin School, "Serce Lasu" fills our ears of a soft ethereal music. It's an ambient track which rests us a bit, as much as the voice of Lukasz Kolakowski, and which concludes an album disconcerting certainly (if we look for of real Berlin School EM) but of which the roots are not really that far. Land of the Rising Sun had been a beautiful surprise in the field of the unexpected in 2012. The fans of Berlin School, mainly the Klaus Schulze era, had full ears with a symphony of music, rhythms and ambiences sprinkled with dusts of stars and fed by electronic effects to make daydream the ears well screwed at our loudspeakers. “Phoenix” is made in the same mold! A breeze extricates itself from the depths of the cosmos. Its hollow and sinuous breath drags dust of stars which whistle in our ears like a sibylline singing emanating from oblivion. 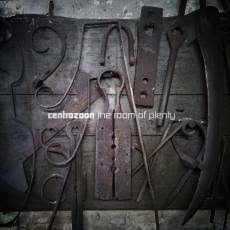 Its shadow gets loose and infuses an analog heat with a slow movement of bass which intertwines the abstruse singings. Both entities harmonize their undulate breaths, shaking prismic particles which put together a series of keys skipping into fine circular movements. It's a kind of rhythmic halos which go and come such as strands trying to run away. The bass line flushes out a structure of jerky pulsations while some electronic percussions invite each other, structuring so a kind of rhythmic ride which beats under the delicate kicks of the harmonious sequences. Elytrons to the felted jingles, cosmic gases, brief stroboscopic jerks and nervous percussions establish the bases of this stunning rhythmic approach which will shake the 24 minutes of "Leaving Behind". If the rhythm is very livened up, it remains static. Pounding in all directions, it keeps a minimalist direction which twins its pulsations at this delicious string of sequences and its indefatigable oniric song which returns ceaselessly in a hallucinating sound decoration clouded of prismic fog and set by magnificent solos which will make the fans of vintage EM to daydream. Solos! They are wonderful. They sing and also weave beautiful earworms, just like the sequencing. They make spirals and twists, sometimes acute, they cut out the cosmic atmospheres and they cross a structure of rhythm which remains subdivided by the very harmonious approach of its sequences. "Leaving Behind" is a splendid starting signal which will bring a little shade in the next 40 minutes of “Phoenix” so much it is powerfully appealing.Clearly quieter, even very ambient, the structure of "Somewhere in Between" reminds to me constantly that of Klaus Schulze in Body Love. Wandering choruses fill its introduction. They hum in a dense astral fog from where pop out delicate sequences of which the purpose is to weave rhythm as discreet as very ambient. We dream. And we let ourselves being deported in the vintages territories with this delicious movement of sequences which call out so much to the ambient works of Schulze. Little by little, "Somewhere in Between" covers itself with a more opaque veil where we discern a little less the sequences, but where we hear subtle synth solos that will make you daydream in an intense astral soundscape. With "Welcome to the New", Robert Sigmuntowski wants to weave a link between vintage Berlin School and a more contemporary one. Cracklings of old vinyl are decorating an intro seized by heavy and overwhelming organ layers. The movement is very ambient, even floating, with a fascinating choir and its sibylline singing which fit closely to the delicate implosions and the slow impulses of the ghostly layers. I'm hearing Adelbert Von Deyen! A line of starry prisms sparkle like chirpings of birds and a fine movement of sequences shakes its keys which spin in a circular choreography. The bass line regurgitates the pulsations which it held in secret, while the structure of "Welcome to the New" rhythm spreads its long undulatory skeleton which adopts a bit the movement of "Leaving Behind". This is getting striking! Moreover, this second part of "Welcome to the New" is as much delicious as the opening of “Phoenix”. The sequences are harmonious and weave a hypnotizing earworm. They sparkle brightly in this immense opacity of ochred mist which feeds and weighs down the moods of “Phoenix”. The synth solos of have difficulty in highlighting their acutenesses, dividing their acrobatic singings in more nuanced tints and others more pearled. Berlin Heritage bears its name marvelously. I adored “Phoenix”. It is an album tailored for the fans of Berlin School, as retro as contemporary, but with a clear tendency for the golden years of the psychedeli-cosmic EM. 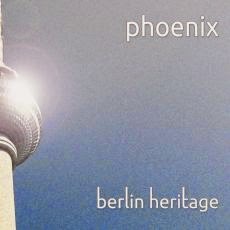 If you like long minimalists structure, if you like a sensible balance between the morphic moods and the intensely jerky rhythms, the sequences which sparkle of harmonious rhythms and solos as discreet as sharps; I strongly recommend you this “Phoenix” from Berlin Heritage. The more we go in the discovery of “Within the Whirl”, we have difficulty in believing that this opus is the fruit of individual and separate sessions of improvisations. The German duet shows an outstanding cohesion, both at the level of the structures and the ideas, to merge an opus livened up by the somber aromas of Alien Nature to the fluid sequenced movements of Lambert Ringlage. The result is surprising, even overturning, because “Within the Whirl” offers 5 tracks to some unexpected and strange dimensions in a structure free of constraints but nevertheless very coherent. At both complex and harmonious, "Insulation Process" navigates between the dark age of TD, the Phaedra era, and the first music of Neuronium due to its drifting lethal cosmic side. Not totally floating, this long movement bathes in a lugubrious mood up until that a light sequence ignites it at the middle point. The rhythm becomes then febrile by oscillating on a rotating and nervous sequencing pattern which is draped by the fluid ambient chords from a synth. The ambiances and the sonic pattern are rich in tones and electronic sounds effects while the solos abound in a synth flora to the mesmerizing meanders, not to say hypnotic. The rhythm becomes heavier and loud riffs monopolize this sequence in cascade which spins on ill-assorted sound effects. 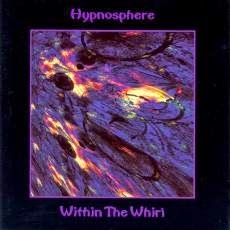 This is a great opening where subtle tribal aromas cogitate with anarchy, depicting so the strange sound universe which reigns all over this first album from Hypnosphere. "Sleepwalk" releases a sweet morphinic scent with a nice movement where the dream builds up itself on a soft sequenced hypnotic carousel. You see the kind? This is smooth, a bit of eerie, and totally enveloping. It's this kind of track which doesn't stop amazing with some great guitar parts and slow synth pads which revolve on a spiral sequencing pattern. Simply sublime! Following the introductory structures of each track in “Within the Whirl”, "Hypnotic Fields" grows in a dense cosmic mist. Quite heavy and enveloping, the ambience is filled of deaf clamors which widen their reverberations on the opaque and foggy synth layers. Magnetizing and slow percussions awaken this sleepiness, in order to create a slow sensual impulse which mutters beneath thunders and their stigmatised artifices, a little as we were in a dark cave with only a long tunnel within it. The hollow effect persists up until the intro of "Anguish" which surprises with a short sequence move a la Jarre around the 5th minute point. Loyal to its structure, "Anguish", just as "Trancelunar Drive", evolves on sequences and alternate paces wrapped by heavy synth lines filled by fragrances of dark moods. “Within the Whirl” is a sonic experience which sticks closely to those dark ambient atmospheres which furnished our somber dreams of these great vintage moments, back in the 70's. This is worth listening, discovering. Especially if you are a fan of the Phaedra era and also of those cosmic moods of Jarre. Two influences that we will remark all along this first album from this amazing collaboration between Wolfgang Barkowski and Lambert Ringlage. There is a rich mixture of sequences on an ambiospheric background wealthy in sound effects and creative in progressive cadences which redefined a more audacious Berlin School. A flute to the perfumes of jazz lost in the noises of a city whistles an evocative air which floats over the jerky echoes of a keyboard's chords. The introduction of "Leaving the City Behind" sticks then to the muffler noise of a motorcycle of which the start is guiding the track towards a soft and very melodious mid-tempo. The piano lets go some fragile harmonies which dance cheerfully in the breezes of the violins, always preserving so this romantic approach tinted of melancholy which characterizes the music of Steve Orchard. 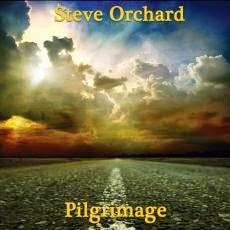 With “Pilgrimage”, Steve Orchard follows this tangent of the English label for a music of which the essences of the New Age cradle themselves over some rhythms a little more lively. The bard of the ADMusic label trades his acoustic clothes in order to electrify his romantic ambiences with more sustained rhythms. Giving so an album where a mix of down and mid tempos are still flirting with New Age. We are still far from the lands of the electronica, still very far from those of an EM of the Berlin or England School kinds, except that the music offered on “Pilgrimage” answers the needs to those who like a more Easy Listening genre. It's not made for me, but my sweet Lise likes it a lot. That's the perfect balance in a couple. So, “Pilgrimage” is a lot rhythmic than the previous offerings from Steve Orchard. The guitar leaves more space to the piano and keyboards. And the percussions shake a little more the romantic moods of Orchard. And all in all, that remains some nice music which furnishes the thread of the screens of our life. We feel a delicious tendency of jazz and blues on tracks like "Covered Wagons", the pleasant "Cat's Eyes" whom Lise has really fall for, and "Cast a Long Shadow". In order to avoid of mislaid too much his fans, Steve Orchard also offers these delicious guitar ballads which cut out our buried feelings. Romance tracks which would fill the end credits movies of watery tears, like the very beautiful "Just Sitting in a Field" where violins transport the tears of the piano and the very elegiac "April Sunshine". For the rest, Steve Orchard offers a lively and not too much complicated e-music. "On the Road" is a good balance between a mid-tempo and a down-tempo with yet nice orchestrations and a rich musical envelope perfumed of sweet harmonies a bit cosmic. It's a more electric track where the six-strings of Orchard discharges the piano of its harmonious responsibilities. The same goes for "Open Spaces" and "Traveller's Rest", although the violins are more present here, where the guitar expires mainly alone its harmonies of solitary bard. Steve Orchard plays a little more in the cinematographic music scents with a massive use of violins and orchestral arrangements of which the main purpose is to be melt the last bastions of resistance of any soul. I think among others to the oriental fragrances of "Toll House", where we can perceive David Wright's influences, and the very ambient, floating and wrapping "Changing Horizon" which moves slowly with a dreamy morphic tempo. A beautiful ballad which has also pleased to my Lise. "Spiritual Destination" concludes this album, which in the end is situated closer to New Age or even soft e-rock than electronica, with a more folk root approach. We hear there, through good orchestrations which cradle as much the rhythms as the ambiences, airs which haunt and which awaken souvenirs of an already heard music. If you want smooth relaxing music, even if lively here and there, this new album from Steve Orchard will suit your expectations. One of the most attractive seductions of the Berlin School is this possibility that have the authors and musicians to tie a crowd of rhythms and melodies through some long structures fed by cosmic or simply ethereal ambiences. Get out these elements of this crenel is like to eat a filet mignon without accompaniments. Some people will like, others will miss the sauce, the potatoes or the vegetables. “Axiom” is this filet mignon. It's an album which aims the fans of meat. To the fans of sequenced rhythms braided, excepted for the very ambient "Heavy Colour" which is nearer of the nomadic moods of Cracks in the Air (2013), into jumping keys which bloom and scatter in all directions in order to create a brochette of rhythms rather diversified. 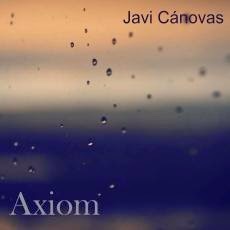 For this last album, Javi Canovas wanted to try something different with a series of short tracks which shine in movements of sequences to the tones more alive than ever. If every piece of music possesses its unique cachet, the synth wizard of Spain makes a sense of honor to merge analog tones to the colors of the digital era, giving an album which unites marvellously the tones of bass to others more crystalline into patterns of rhythms charmingly acrobatic. "Sima" begins with a storm of sequenced keys. Tones of bass, others crystal clear ones and some others more sizzling are parading in a mess of rhythmic lines which rise, come down and crisscross each others like tightrope walkers on a bicycle rolling on wires shaken by ample oscillations. The rhythm is heavy and lively. It spins with elytron of metal and electronic percussions of which the splinters draw a thick cloud of birds which pecks at a texture as well cosmic than very Teutonic. The sound textures are appreciably the same, except that Canovas has, this time, a clear tendency for more lunar atmospheres. And every track, in spite of certain resemblances here and there, offers a structure of rhythm of its own which sticks well enough to the visions of his author. So "Descent" offers a more sneaky movement with lines of rhythms which either crawl or tumble down a slope on the brakes. The track catches the hearing rather quickly because of its perfume which releases the ambiences of Tangerine Dream's Flashpoint. After the jerked and colored rhythm of "Masker", the title-track plunges us into a structure of rhythm braided by multiple loops where the keys spin with violence in breezes to the colors of the nostalgia. The rhythm is static and violent and I challenge you to drumming it with your fingers and follow its pace. This is a great Berlin School, perfumed of cosmic breezes a la Jarre, with keys which try desperately to extricate themselves from these uncountable loops which enclose it. I don't know why, but that reminds me the violence of Steve Roach's static rhythms on Empetus. Idem with "Transcription" and its stubborn rhythm which climbs a brief oscillating curve with a thick cloud of keys in tints and timbres which mix delightfully the contrasts of the analogue and the digital. "Relapse" also breathes of these static rhythmic fragrances of this period. "Invisible Symbol" sounds so out of tune in all this universe of splendid rhythms. It's a nice ballad with a beautiful piano and it allows our ears to breathe a little. And that restarts with the deep oscillatory rhythm of "Hydrometry". The sequences buzz like a swarm in fury, while the curve of the winds breathes an ethereal approach which drowns itself literally in front of these massifs hummings and these solos which whistle braids over this mass of feverish agitation. "Crush" presents a more Cartesian approach. The movement is minimalist. Keys, always so furious, are skipping in the shadow of the rather nervous jingles of electronic percussions while the more the movement progresses, the more it frees other keys in juicier tones which glide in crisscrossed figures over a structure which weighs down constantly its heat. That looks like a Deep House, but without the bass pulsations. A little of tranquility? Just to rest the ears! Javi Canovas offers then another small quieter movement in "Forbidden Zone" with a stream of sequences which spin and chirp, with a fascinating organic harmony, in suave morphic veils. "Almost Imperceptible" feeds itself of the same ambiguities. Its rhythm is more or less ambient and snores in cosmic corridors. There also I like these organic tones sequences which make tremble the ambient texture and which enhance the quality of the twisted, and rather discreet moreover, solos. "The Seeker" offers a very good heavy rhythm with a more resonant line and a series of winged keys which crisscrosses it of a spheroidal line. The rhythm splits in a structure with gaps where the jumping keys are bouncing in the shadow of other ones, in order to peck at the line of the main rhythm. Adding so these colors and sound flavors which bicker constantly between the analog and the digital tones. "Allegory" is in the same vein, whereas "Heavy Colour" ends “Axiom” with an ambient approach which is very near of Steve Roach's aboriginal soundscapes. After all, it's necessary good in an album where the jumping and flying keys devour our ears as much as the ambiences and the melodies, which are literally in background, on this surprising pallet of rhythms in so lively colors that alone the fathomless territories of EM can draw. Having walked on the paths of New Age, ADMusic explores the avenues of an EM which mixes firmer rhythms to orchestrations where rather catchy melodies, certain stamped by the New Age seal, float in envelope musical which knot the cinematographic approaches to electronica. Hydrosphere, from Divine Matrix and Of Moon and Stars, from Iotronica are two good examples of this new direction from the English label. “Firebird” distances itself from those, but just a bit, with a more punchy music which gets closer to the very interesting Transfer of my Affections from The Pels Syndicate. This Lord of the Ants' 2nd album, the other one being Quantum Voodoo which was released in 2009, offers a dozen of short musical pieces, set apart for one track, which move enormously inside their minutes and which touch lightly the big themes of electronica without ever taking root really in a genre in particular. The title-track opens with a series of arpeggios shivering like pieces of wood which collide in some big Siberian winds. The approach is nervous, but fast covered up by pads of Gregorian voices which infuse a perfume of Enigma on a structure of rhythm which livens up on a meshing of linear percussions and bass sequences. That gives a kind of semi techno interrupted of passages as ethereal as the sections of melodies and the orchestrations which decorate it. This kind of rhythm with nervous static shocks finds also its niche on "Dr Dee", which sounds very TD with its guitar, and "Orlando" which lurches more into a kind of Ambient Chill. More cinematographic and very relaxing, with its delicate arpeggios which shiver in the winds of orchestrations and air voices, "Ruby" eventually offers a beautiful down-tempo with a tone of guitar, rather nasal, which cries on a slow tempo. If we are into a more ballad mood, "Secrets of the Days" offer an interesting folk approach with an acoustic guitar which scatters its notes on a rather slow rhythm. The voices and violins offer a rather poignant texture. The same goes for "East at Least", which is quite good. An electronic rock, kind of very TD from the 220 Volts years, intertwined in a kind of Deep House approach, "A Dedicated Man" is transiting by several kinds in a little less than 4 minutes, while "Neuronaut" is a pure Deep House. The diversity abounds on this Christopher Westcott's 2nd album, the one-man band behind Lord of the Ants. Besides finding an interesting, and completely unexpected, reggae in "Keep Off the Grass", "Expectate Veni" entails us in a long progressive structure which gathers more or less all the styles which we find on “Firebird”. The rhythm is rather slow, from time to time a bit jerky, with sound effects well putted in a rather tribal musical approach. Only drawback! The sound seems to have its limits. There are distortions here and there. Is it the sought effect? That would be possible because that adds an effect of apocalyptic science fiction on a more or less film structure. At this level, and although clearly quieter, "1218" is closer of a screen with orchestrations a bit dramatic and percussions which roll like military thunders on the tears of violins. A good track filled with emotionalism! "Impossible Sky" is a music piece which a little breaks ranks with a more acoustic approach which struggles under thunders of percussions and rests on perfumes of saxophone. 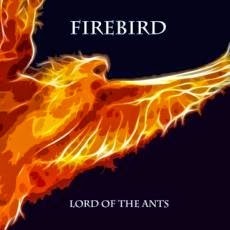 At times one would say a kind of lounge, jazz and blues with a guitar which grumbles in the interlinks of several musical styles, just as a lot of tracks on “Firebird” by the way. "East at Least" begins with an ambient approach where sizzling winds and ochred synth lines float like radioactive clouds. The track eventually falls under the charms of a good mid-tempo, interrupted by jerks and by ambient movements, with fascinating hoarse breezes adorned of Didgeridoo perfumes, and some beautiful orchestrations as well as a sweet seraphic voice. I know that it sounds like a New Age a la Enigma, but I like that! And if we like diversity and musical structures which take completely unexpected bends in a meshing of rhythms which touch almost everything in the spheres of electronica, this “Firebird” is completely drawn for your tastes.